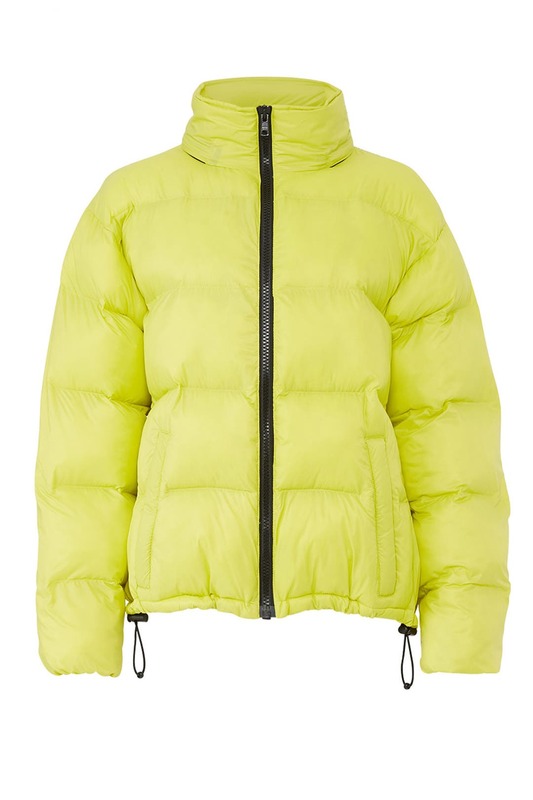 Cropped and channel-quilted, this bold Sanctuary puffer packs a cool, eye-catching punch. Acid green (100% Polyester). Jacket. Long sleeves. Hidden front zipper closure. Fully lined. Front zipper pockets. 24" from shoulder to hemline. Imported. True to size. Very bright fun color. I rented this just for everyday, I live in San Diego so it doesn't get too horribly cold but sometimes we need a coat. This coat is perfect! It was a fun bright color, and you can wear it with athletic clothes or dress it up . I love this coat! Love! 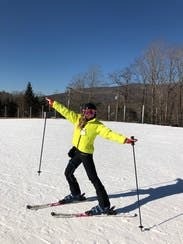 Rented this for a ski trip in Vermont, didn't actually ski in it but I wore it around the lodge and it was so comfortable, warm and fun! Very bright in person which I personally liked. Definitely space to wear a thick sweater or layers underneath if you need to. Obsessed with this jacket! I wore it out to Joshua Tree on top of my jeep...I was stylin' and it was FRESH. I could also see myself wearing this while skiing. Overall very cool. I typically wear a size small but I sized down knowing Sanctuary's brand prior to this rental. XS fit me perfectly! LOVE LOVE LOVE. and Warm. Loved this jacket. 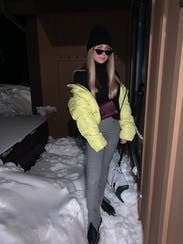 Received a ton of compliments and it held up in the extreme cold on a snowboarding trip. It's insulated and on trend which is great! The jacket is light weight and it also was easy to pack in my suitcase (it folded down pretty small). It's a neon color so it goes with everything. I usually wear an XL, but opted for the XXL so that I could wear layers underneath if needed to shield me from the -25 degree windchill. Perfect on the slopes. It wasn't extremely cold out and this kept me warm, maybe not enough if it were arctic. Made me look too puffy. 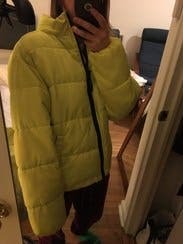 Very bright fun jacket. Just made me look huge as it was so puffy. Great piece. Bright color. Runs big. Waterproof. Good quality. Great price. Made winter a little less dreary. 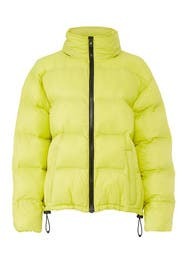 Puffy coats are usually more function than fashion but this highlighter yellow jacket could not be more fun. You'll definitely draw attention and people may confuse you for a construction worker, however, it's super warm, fits great and makes a statement. Had it for 2 months. Would recommend. I rented this for a girls weekend up north. It's neon so you'll definitely stand out. The draw string at the bottom was nice to expand for larger sweaters. It wasn't super warm but I had enough layers underneath that I didn't get too cold. It served its purpose. LOVE this coat. It is more of a crop style with adjustable bottom. Color is so in right now. Major outfit moment. Also kept me warm in 25 temps. 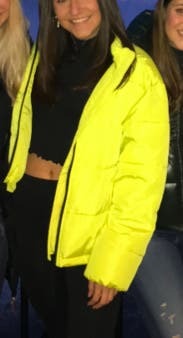 Good bright jacket. 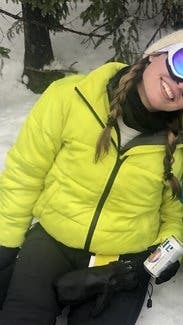 Not many pockets if you're skiing and it's pretty light. So I wore another thin jacket and many layers under. 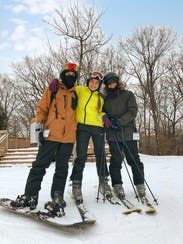 It was about 25+ windchill and I was fine. Definitely easy to spot on the mountain. 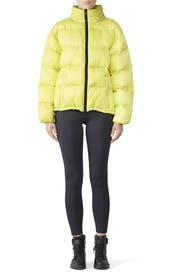 It would also be a great jacket for running errands, running out, etc. Color was amazing, lots of compliments. Not too heavy of a coat. True to size! Fit great & I loved the fun color! 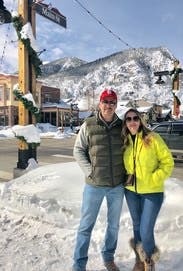 I wore this for a weekend getaway in the snow--pictured left. It was fine for nighttime sledding, but not sure if it would be warm enough in negative degree weather. It runs large and has plenty of room for layers. Recommend for anyone who enjoys fun and bright colors! 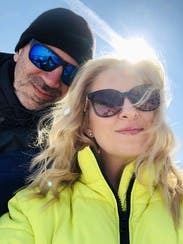 Can't miss it on the slopes! Considering buying it. 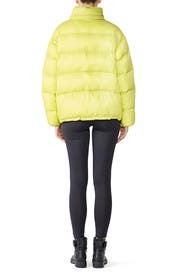 Perfect weekend jacket - makes boring errands outfit or yoga leggings fun! 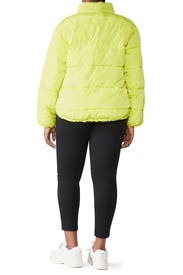 Want to buy but worried it will be out of style next season. Oversized fit, sleeves were a bit long on me but I have short arms. Great for layering. Color is awesome and got lots of compliments. Only downside was that it isn't super warm. 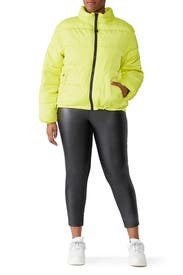 It was fine for me because I was wearing it in 40 degree weather, but if you're looking for a cold weather jacket I would def suggest layering under this.